Merton SW Dry & Steam Carpet & Rug Cleaning Company | Quality Property Care Ltd. Recover your gorgeous rugs with the help of a professional rug and carpet cleaning company in Merton SW Has your gorgeous rug lost its bright colours and appears to be worn and dull? There quick and easy solution for you. Quality Property Care Ltd., a rug and carpet cleaning company which offers top quality commercial and residential carpet and rug cleaning in Merton SW and the region. The carpet and rug cleaning services are provided with the latest cleaning technologies and secure cleaning solutions. The professional rug and carpet cleaning team delivers carpet spot and stain removal, dry foam carpet cleaning or shampoo carpet cleaning for all kinds of rugs and carpets . Trust the tvetted and trained cleaners to provide you high quality services at the best carpet and rug cleaning prices in the region. Call the expert customer service line or send an online require for a totally free quote, and you will get an offer in 2 hours! Quality Property Care Ltd. is a reliable and well-known professional rug cleaning company. It has more than 10 years of rich experience in the field. Through the years, we have acquired the best rug cleaning procedures. They are customized for effective and faultless carpet stain and spot removal, as well as to main home rugs in top condition. We guarantee you to restore and brighten any carpet! We are real experts in stain removal. Keep in mind that we can eliminate the following types of stains: paint, rust, oily stains, tea, coffee, blood, vomit, wine, moth damage. 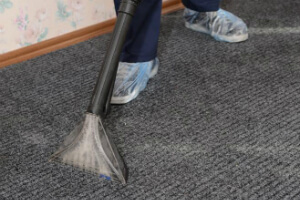 To ensure proper cleaning technique for each rug or carpet type, the educated and well-trained carpet cleaners are instructed to analyze it at first. Don’t lose hope even if your favourite rug has suffered from what seems like a irreversible stain. The cleaners can successfully deal with a huge array of not-so-common and common stains, including: oily stains, wine, paint,, blood, vomit, rust, tea, coffee, moth damage and many more. 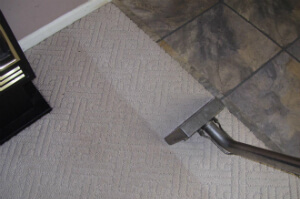 Count on the professionals in carpets cleaning Merton SW and forget about dirty and plain carpets and rugs in your home. We guarantee you full customer support, understanding and flexibility in service arranging. The perfect final result is guaranteed! Note that all loyal customers will receive both: discount and special free of charge tip on afterwards rug maintenance. The carpet cleaning team can also offer: Bed Bug Mattress Treatment Mattress Cleaning, Curtain Cleaning, Drapery Cleaning, Blinds Cleaning. If you request more than one service, you will get a discount and competitive final rates! Plus: our residential and commercial rug cleaning company works with all sorts of rugs: Wool rugs, Persian rugs, Chinese rugs, Area rugs, Handmade rugs, Tibetan rugs, Silk mix rugs, Shaggy rugs, Indian rugs, Turkish rugs, Egyptian rugs, Play rugs, Entrance Mats Floor Mats Logo Mats Antique Rugs Industrial Mats Anti Fatigue Mats Rubber Mats! To reserve our professional cleaning service call 020 3746 4287. Our dedicated team of customer care agents is available, helping you with the booking or responding to any questions you may have. We are available during weekends and bank holidays free of additional cost, with same day availability and flexible booking . Be sure to follow our website and check back regularly as we often have offers and deals which can save you up to 35% on your next deal. Don’t miss the opportunity to have the best rug & carpet cleaning in Merton SW at the finest prices in the Greater London area.